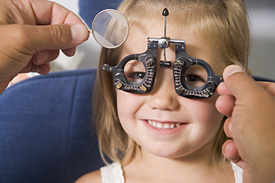 At Zacks Eye Clinic in central London (W1) we see children from birth for eye sight tests. Several specialist assessments are performed on young children to ascertain their quality of vision and spectacle prescription. 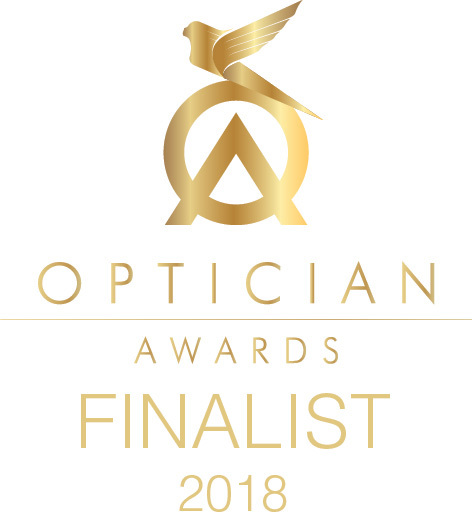 More detailed examinations are available for children with learning difficulties such as dyslexia or those requiring contact lenses or orthokeratology. Most children present for eye sight tests because of concerns raised within the home or school, though many slip through the net. Everything about the equipment, the diagnosis, and the impact was explained to me, and I was treated as someone who could understand and be involved in my child’s eye health. Regular eye examinations are essential to ensure normal visual development. Significant refractive errors or squints left uncorrected during critical periods (up to age 8-10) will result in amblyopia (permanently impaired vision). There is considerable research that supports the need for regular testing. Recent UK studies have found that one in five school-age children have some form of undetected vision problems. The US dept of health and human services found that visual impairment affects up to 10% of pre-school children, of which a third have amblyopia (lazy eye) and two thirds have uncorrected refractive errors. In older children the incidence of myopia (short-sight) has rapidly increased throughout the world. A recent Swedish study found that 50% of 12 year olds are myopic, expected to rise to 70% by age 18, with over 80% in parts of SE Asia. There is no national framework for vision screening. Pre-school checks are negligible and after school entry there is great regional variability. Tests are usually carried out by the school nurse who assesses vision asking the child to read down a chart of letters or shapes. There is increasing scepticism on the value of this test with several reviews showing little evidence to support its effectiveness. The main issue lies in detecting refractive errors. Undetected, these can cause a number of problems ranging from chronic headaches to under achievement academically. Coloured overlays and tints can also be used with similar effects in some people (Meares Irlen syndrome). The colour has to be accurately prescribed and is different for everyone. At Zacks Eye Clinic in central London we provide specialist consultations for children with dyslexia or other learning difficulties. We can provide a letter of information to be given to teachers and parents to increase awareness of child related sight problems and highlight the benefit of regular examinations. We can visit the school with a small team of clinicians to provide accurate vision screening assessments. Any children suspected of having visual problems would then be given a letter recommending a more thorough examination at our children’s clinic.